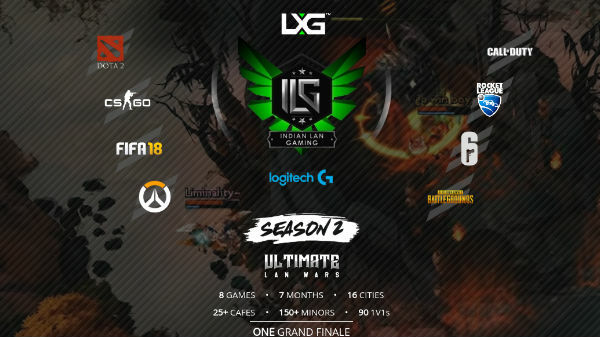 The Grand Finals of ILG Cup season 2 took place at Gamer Connect, Koramangala Indoor Stadium on 15th and 16th December 2018 with a prize pool of Rs 29,00,000. The Grand Finals of ILG (Indian Lan Gaming) Cup season 2 took place at Gamer Connect, Koramangala, Bangalore Indoor Stadium on 15th and 16th December 2018 with a prize pool of Rs 29,00,000. The grand finals for Overwatch and Fifa 18 were played out on Saturday while the grand finals of Dota 2 and CS: GO were played out on Sunday. All players got to compete using top of the line gear, which included the latest Logitech G peripherals(G512 Keyboards, G502 Hero Mice and G Pro Headsets) as well as LG monitors to ensure the players had the best experience. Overwatch saw the two Global esports teams, Alpha and Phoenix fight it out in a nail-biter five-game thriller, at the end of which Alpha managed to take the finals with 3:2, Championship and Rs 4,00,000. FIFA 18 saw another thriller between Saransh Jain and NFG_Kartik, Saransh eventually being crowned champion, taking the finals 3:1 and Rs 2,50,000. The finals for DOTA 2, however, was a total contrast to the first two finals with Signify dominating Reckoning Esports and taking the series 2:0 and with that the title and Rs 5,00,000. The CS: GO grand finals saw Iyati gaming taking on the mixed team from Kolkata, Team Oh Beyy. Despite losing a close game one, Team Oh Beyy were able to bounce back and eventually close out the series 2:1 and secure the championship and Rs 5,00,000. Gamer Connect also had a Battlefield V zone powered by Logitech G, where gamers experienced Logitech G Pro gear for the first time along with other latest Logitech G peripherals.